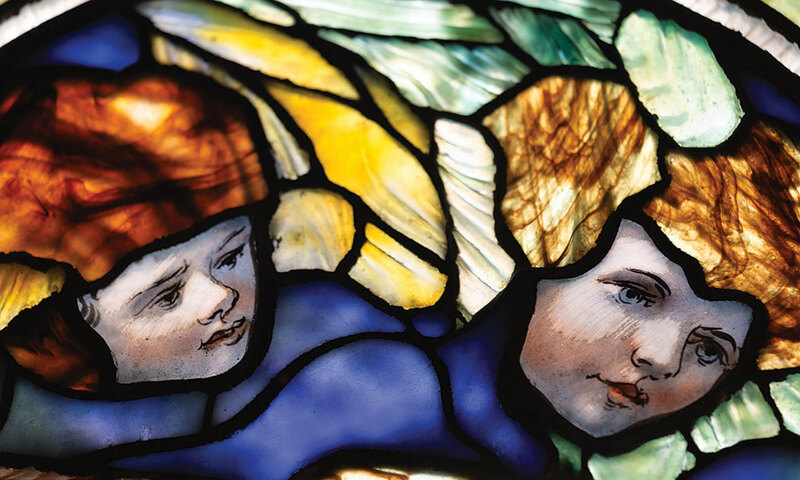 Tiffany glass can be found in Albany, Troy and at a few locations in and around Saratoga Springs. I saw angels the other day. I promise you, I wasn’t hallucinating. With flowing robes and fluttering ivory wings, the three heavenly beings were hovering high above Washington Street in Saratoga Springs, near Starbucks. I’m not the only one in Saratoga who’s seen them. 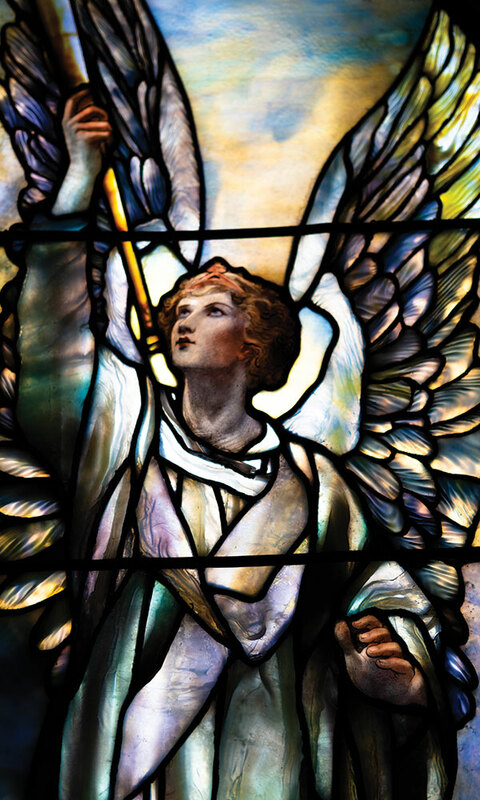 For 122 years, throngs of the faithful at Bethesda Episcopal Church, at 41 Washington Street, have caught a glimpse of the Saratoga seraphim perched in the Tiffany windows high above the church’s pews. 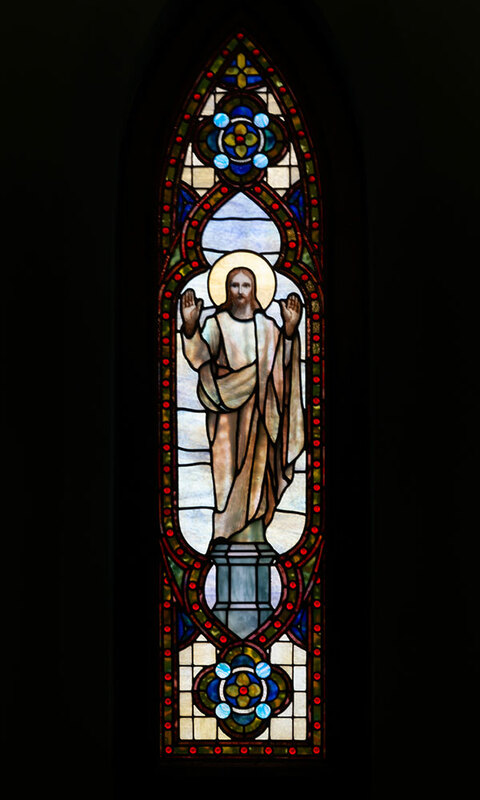 When I climbed the creaky, narrow wooden stairs to the choir loft to get a closer look, it was a sunny day, and the delicate stained-glass windows were bathed in golden light. My heart leaped with joy. 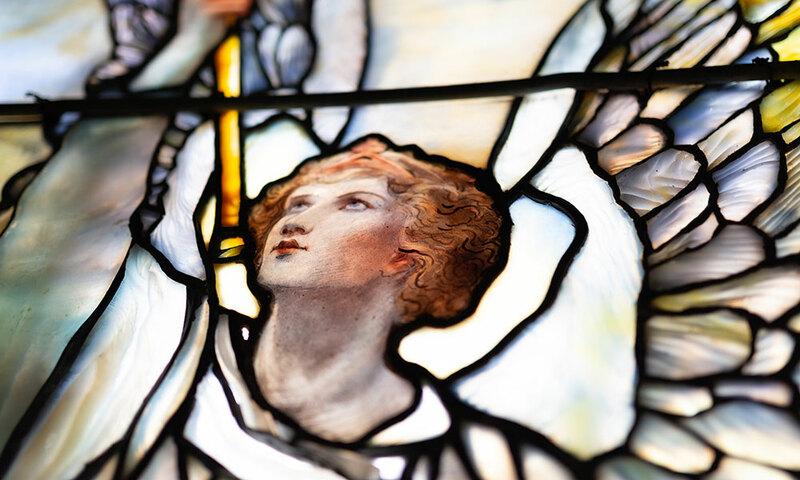 About six feet tall, in shimmering, pearly shades of pale blue, aqua and lavender, the images of the angels are not painted and flat as in most stained glass but constructed with colored glass that is layered and folded, imparting a visceral, three-dimensional depth. “It’s the hallmark of Tiffany windows,” says Ned Pratt, President of the Turpin Bannister chapter of the Society of Architectural Historians, who notes that they were all the rage during the Victorian Era. 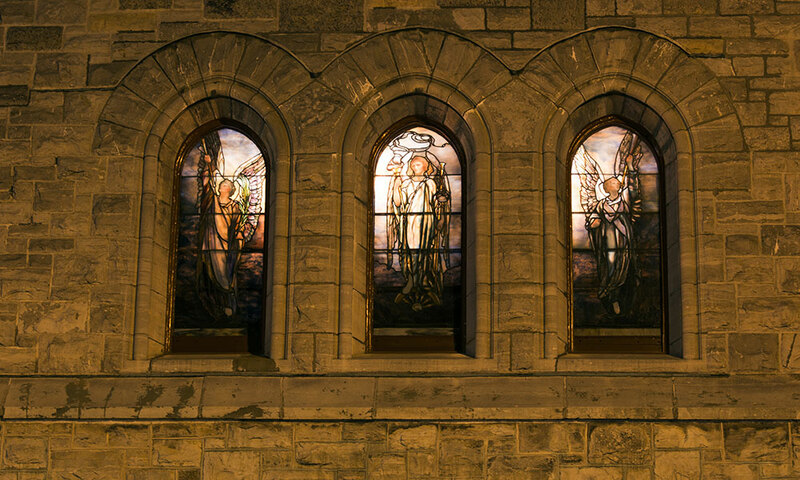 The “Tiffany” in “Tiffany windows” refers to world-renowned painter and designer Louis Comfort Tiffany, a New Yorker by birth, who was active in the art world from the 1870s through the 1920s and whose last name has become synonymous with the priceless stained-glass style. Lucky for Capital Region residents, Tiffany glass is “pretty much everywhere,” says Pratt, its greatest presence being in Troy and Albany. 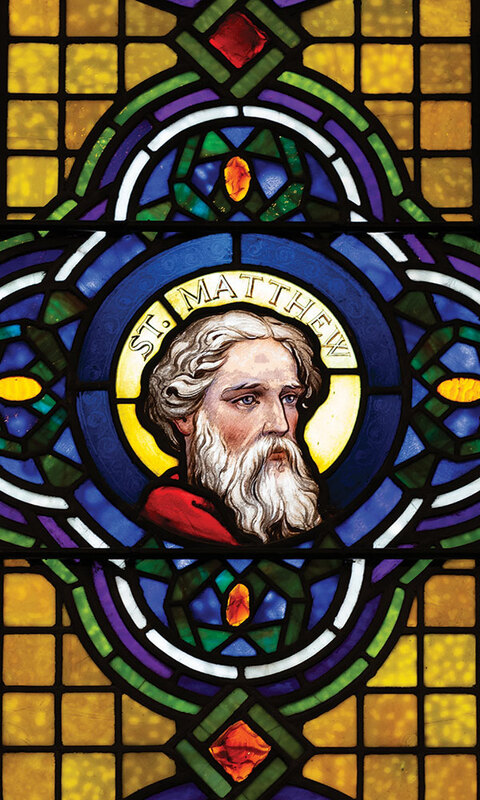 He numbers among the most exquisite examples the glass at St. John’s Episcopal Church and St. Paul’s Church, both in Troy, and that at the First Presbyterian Church of Albany. Thankfully, Saratoga’s Tiffany bounty isn’t found only in Bethesda Episcopal Church. 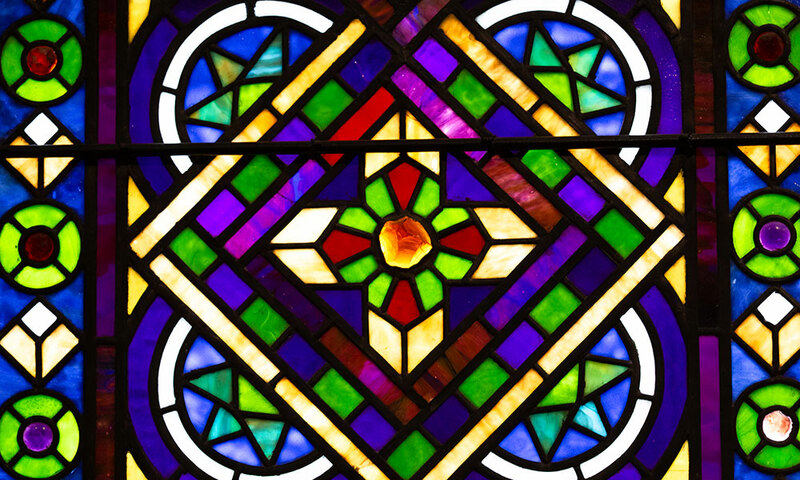 The Canfield Casino has two Tiffany windows, which, like about half of the artist’s work, are unsigned but still considered the real deal. Then there’s Saratoga’s famous artists’ retreat, Yaddo, which has a large window in the main house, believed to be a Tiffany, depicting a female figure standing on tiptoe, her arms raised toward the sky. I’ve been fortunate enough to have seen the window twice—since it’s viewable by invitation only. Then again, you don’t have to be a famous artist (or a journalist, for that matter) to enjoy many of Tiffany’s masterworks: There are more than 200 locations throughout the Empire State where his work is on display. One of the most popular ways, locally, to get a Tiffany fix? The annual guided walking/driving tour, Troy’s Tiffany Treasures, sponsored by the Hudson Mohawk Industrial Gateway in Troy, which this year takes place on September 21. 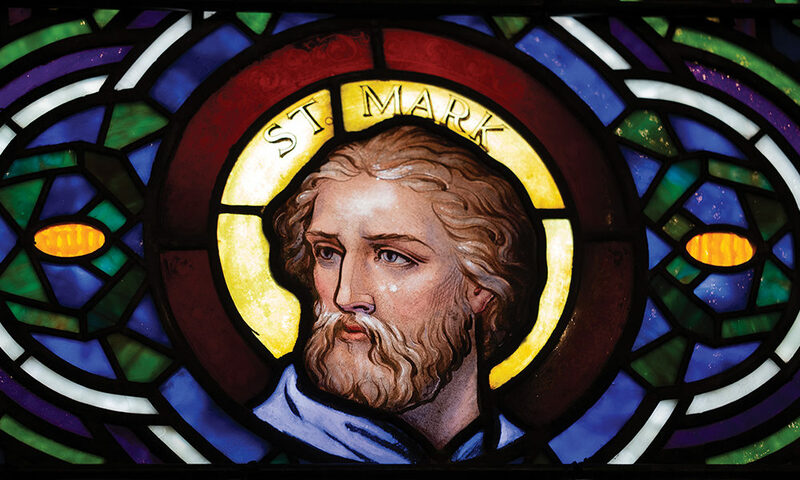 Three months earlier, just outside of Saratoga in Washington County, St. Luke’s Church will be offering Tiffany tours during the Cambridge Valley Balloon Festival (June 7-9). 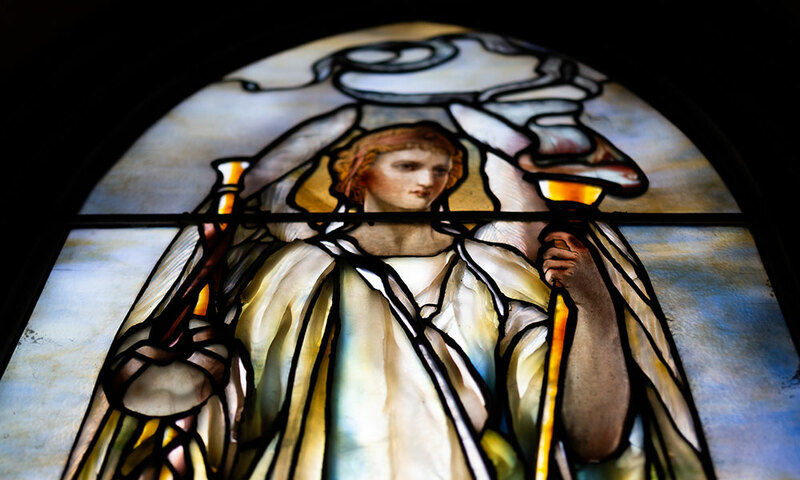 And, of course, Saratogians don’t need to stray far from town to see the angels of Bethesda. To me, that’s just more proof that Saratoga Springs is truly heaven on Earth. 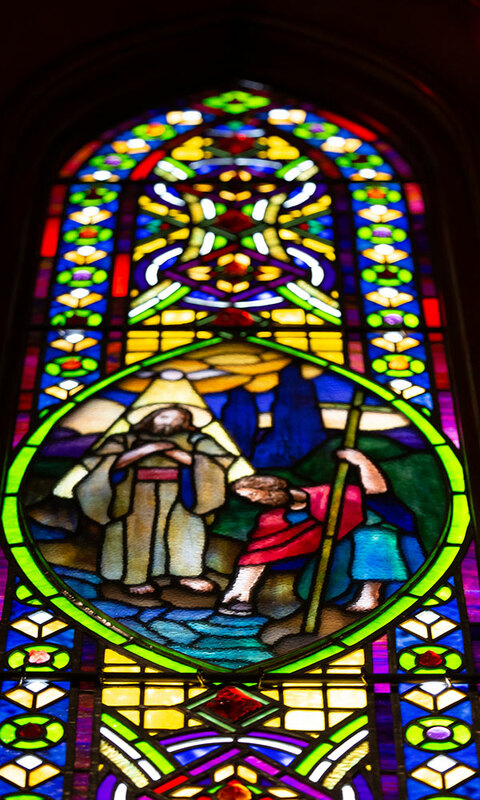 Take a look at some of the Tiffany windows at Bethesda Episcopal and St. Luke’s Church in the above gallery. An award-winning writer, Contributing Editor Karen Bjornland has been contributing to saratoga living for 12 years. Her work has also appeared in Adirondack Life, the Albany Times Union and Schenectady's Daily Gazette, among many other publications. She lives outside of Saratoga Springs in Greenfield Center.